The Town of Hartland is asking surrounding local service districts to help foot the bill for a new community centre by raising taxes. The town has been given permission to approach surrounding local service districts about raising taxes to help pay for construction and annual upkeep of the centre. The proposal would see the town and the local service districts of Waterville, Wakefield, Brighton and Coldstream pay an increase of 7.5 cents per $100 of property tax assessment, said Travis Dickinson, head of the committee pushing for the shared services agreement. The first public consultation was held Monday night, and Dickinson said it went well. "The reaction was quite positive," he said. "We certainly had people there with differing opinions, but I think it was supportive more so than negative." The new community centre would have an ice surface, a walking track, community rooms, and an updated kitchen and cafeteria. Dickinson said the new centre could also host major events. The existing arena, which Dickinson said is falling into extreme disrepair, would be demolished to make room for the new, multi-purpose centre. 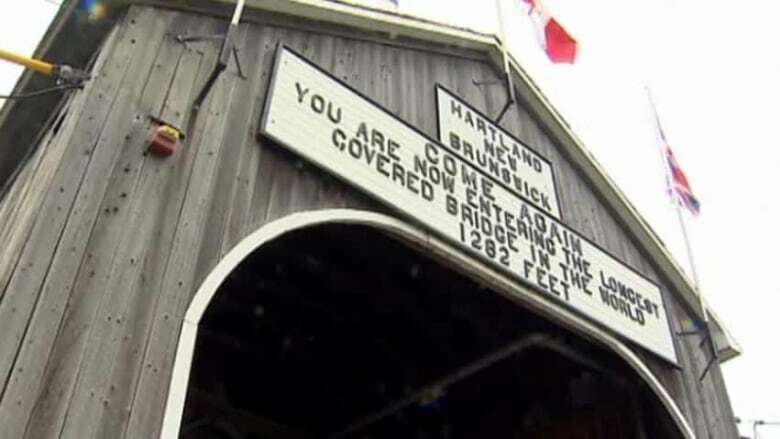 "The existing facility is in poor shape and right now the Town of Hartland is financially responsible for that 100 per cent," said Dickinson. "But at any given moment, if an inspection comes through and certain things are required and the town decides that they don't want to throw money into that, they could conceivably close." Dickinson said not having a centre would devastate the community, and others agree with him. Sam Walton, who lives in Hartland, believes the town and the local service district should support the project. He suspects there is a lot of hesitation about a higher tax rate, but "they're just asking for some help to keep a complex in our area." Walton said an increase of about $80 in taxes a year is a small price to pay for a new state-of-the-art community centre. "That's less than a cup of coffee a week," he said. "We deserve that, the town of Hartland deserves that." The committee encourages residents to ask questions and attend the consultation meetings to be held over the next week. Voting on the tax hike will be Dec. 6 and 7. Polls open from 10 a.m. to 8 p.m. each day.